All things in good balance is what this crisp is all about. It's got sweet, and it's got savoury. It doesn't take sides. You want it all? 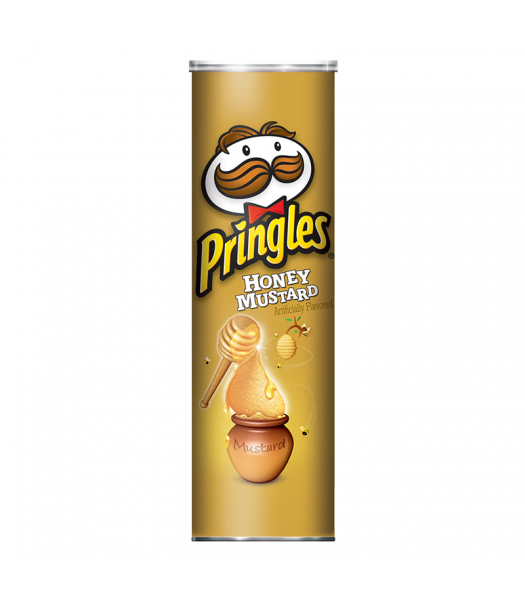 Pringles has it covered with both sweet Honey and savoury Mustard in one can. 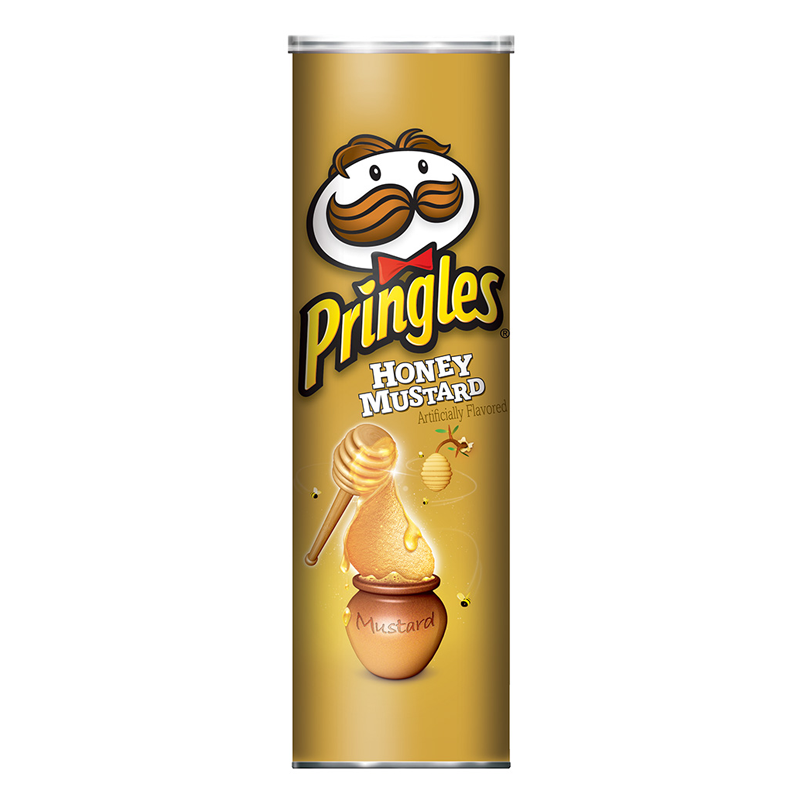 This light and crispy chip, in the celebrated Pringles style, is perfect on it's own or with your favourite dip. You'll love snacking on these, and once you pop, you can't stop! Due to atmospheric pressure changes between the manufacturing plant in the United States and throughout the shipping process to our warehouse in the United Kingdom, Pringles tubes may bend slightly inwards. Although it may appear as if the can has been dented, it has not. The Pringles inside the tube will not be damaged. It is normal for the tube to rattle, or for 1 or 2 chips from the top or bottom of the stack to be cracked. Although this does not affect every single tube, it does affect the majority. If you require a perfect tube for collection or gift purposes we recommend that you do not purchase this product. We will not refund or replace any bent or "dented" tubes.